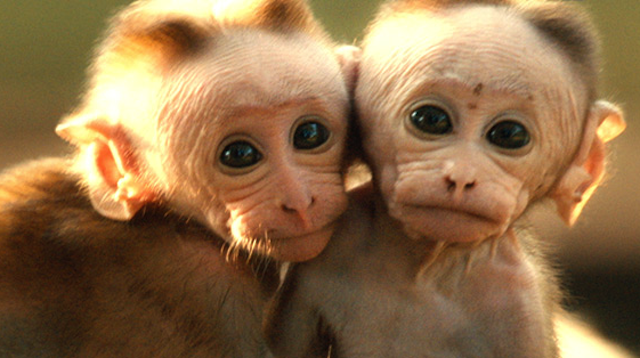 This stunning documentary not only gives us a delightful window into the world of macaque monkeys, it also honors single moms and the sacrifices they make for their children. A lot of us can relate! 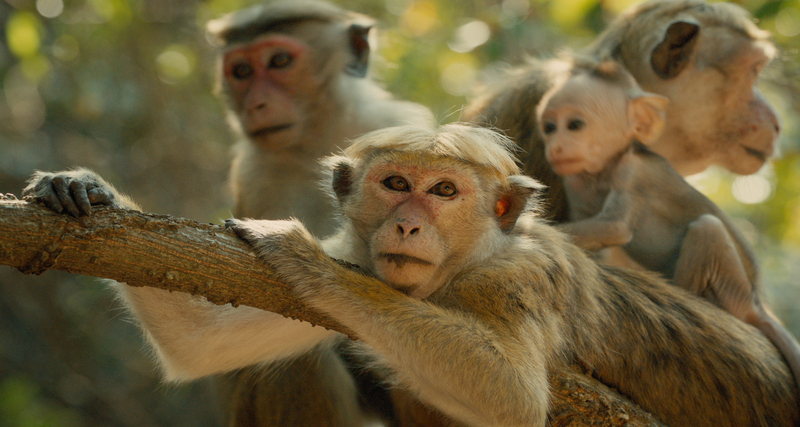 Just in time for Earth Day, Disneynature presents Monkey Kingdom, another stunning documentary that will not only inspire your family, but proceeds from the first week of ticket sales will benefit Conservation International and help protect monkeys. Joyfully narrated by Tina Fey, herself a mother of two girls, this movie shows how even in the animal world, moms can make all the difference in their community. What more important job is there than raising a child to be kind, courageous and maybe even a leader? 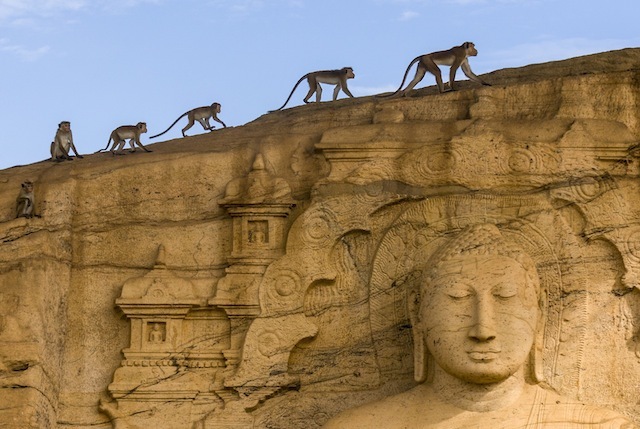 At the center of the movie is Maya, a brave and emotionally resilient macaque monkey who finds herself at the bottom of her troop’s social ladder in the jungles of Sri Lanka. The ruins of a once-thriving human community called Castle Rock, built over a thousand years ago before being abandoned by its inhabitants, make for a mysterious yet inviting setting to tell this story about a group of primates that behaves so much like us. Maya’s situation becomes more critical after she gives birth to her son, Kip. 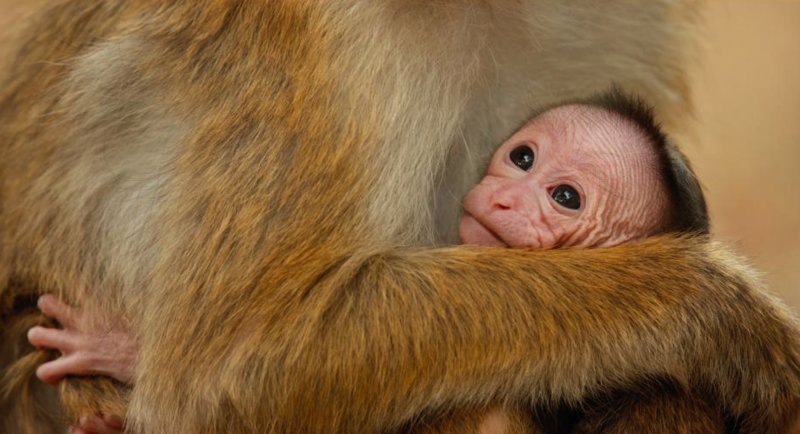 Kip’s father, a brave but inexperienced macaque from a neighboring troop, can’t stick around to help raise Kip because Raja, the alpha male in Maya’s troop, would likely kill him. It’s up to Maya to raise Kip alone, which is no easy feat, considering she and her baby are at the bottom of the troop’s social hierarchy. All the good food and water sources are taken by the monkeys at the top. Every day is a struggle for Maya to find adequate food and shelter. But like most single moms who scramble to make ends meet, Maya is determined to give her son every advantage she can. She even risks her own life swimming in a pond teeming with aggressive monitor lizards to find food beneath the water. What’s so stunning about this film is how it so beautifully seems to capture Maya’s intense love for her son. As part of the narration, Tina Fey says, “Maya is lost in her infant,” meaning she’s so in love with her child, so bonded to him, his survival is now the only thing that matters to her. We love that Disney is branching out and trying to tell new stories that don’t just revolve around princesses. Now, if Disney could make a narrative film about a princess who’s also a single mom, we think we’d be inspired by that, too!